This is something we cooked up for fun. There are many software kaleidoscopes, but we thought we would experiment with our own version. It uses live video and can do a range of geometrical shapes as its basis. 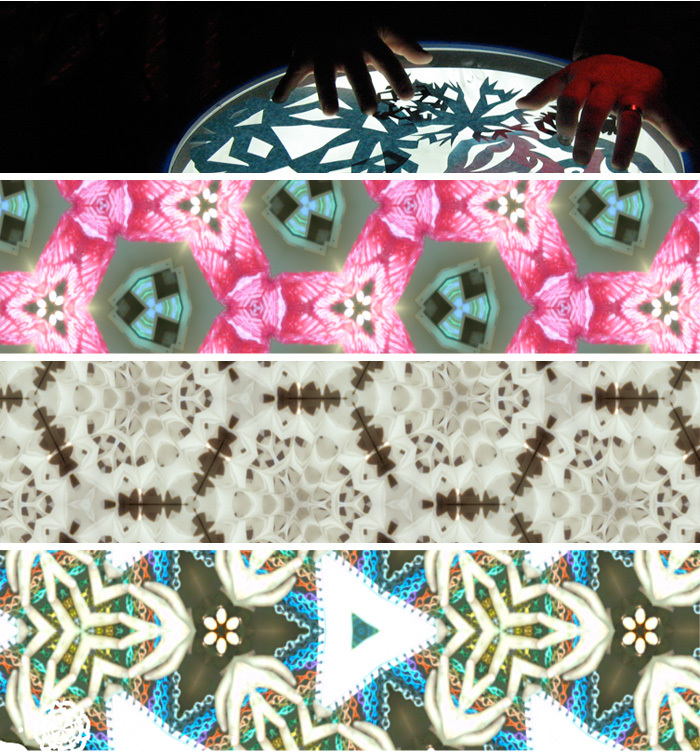 A variety of stills from placing things on the surface of the kaleidoscope. Experiments for an up and coming secret use of the project.